Creative Communities are groups of citizens whose actions bring positive change to their neighborhoods and the environment. They solve questions of everyday urban life by promoting simple, but often ingenious, solutions. 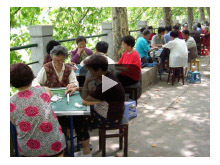 These communities are often low profile and collaborative by nature. They may be community gardens or food co-ops, alternative childcare or organizers of a music festival. Good ideas can be amplified. Creative Communities around the world aren't waiting for governments and businesses anymore. 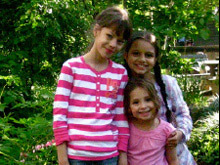 They are creating more sustainable ways of living and working for themselves. How can we find, improve, and spread thesating more sustainable ways of living and working for themselve good ideas? 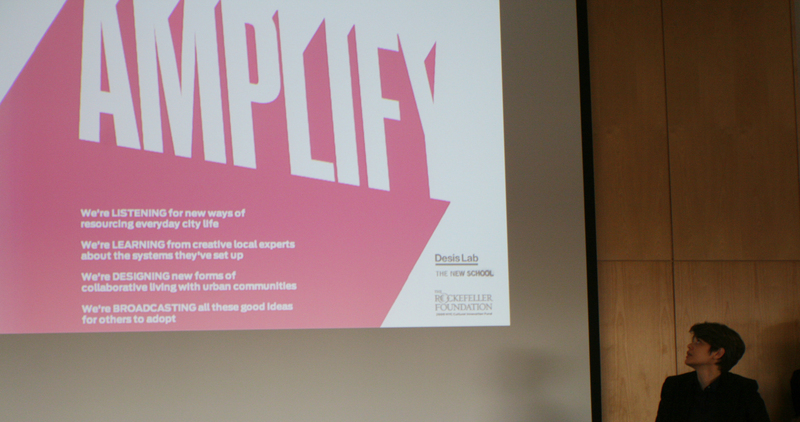 Amplifying Creative Communities is a project of the Parsons DESIS Lab at The New School, funded by the Rockefeller Foundation’s NYC Cultural Innovation Fund 2009. This project draws on research that has been conducted around the world for the last five years on design for social innovation and sustainability. 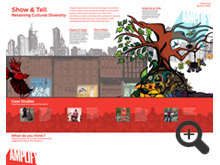 In 2010 we worked with community groups on the Lower East Side to identify examples of urban activism in the area. 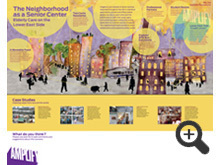 In 2011 we worked in the North Brooklyn neighborhoods of Williamsburg and Greenpoint. 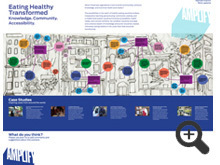 The New School's Design for Social Innovation and Sustainability (DESIS) Lab received a grant from the Rockefeller Foundation's NYC Cultural Innovation Fund 2009 to research, promote, and amplify community-based solutions for sustainability. The Lab brings together faculty and students from accross disciplines at The New School, led by Parsons The New School for Design and Milano The New School for Management and Urban Policy. the Interaction Design Lab at Cornell University as part of a project funded by the National Science Foundation; and IDEO, the acclaimed international design consultancy. This project is connected to the international DESIS Network that brings together schools of design and other schools, institutions, companies, and non-profit organizations working on projects focused on design for sustainable social innovation. saying and doing to change things for the better. 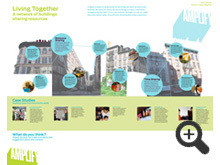 How can social innovation make a difference on the Lower East Side? 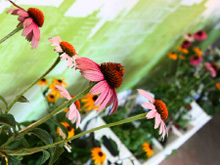 The community gardens provide a window into social innovations put into practice on the Lower East Side. Talking to members and mapping the gardens' activities led us to identify additional demands for solutions to problems of everyday life, as well as creative answers to some of those problems, throughout the neighborhood. These stories reveal some of the main areas of unmet needs and service demands of the neighborhood community. Here a group of students from Parsons The New School for Design presents the results of their creative field research about what people on the Lower East Side are doing to change things for the better. These stories reveal some areas of unmet needs and service demands in the neighborhood community. Are we growing more than plants? 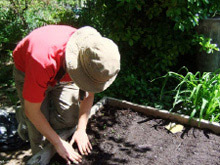 The Lower East Side has more than 40 community gardens within its boundaries. They are the realization of a long history of urban activism, with ups and downs throughout the years. 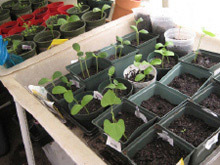 On the Lower East Side social innovation is intertwined with community gardens: they are the starting points to think and rethink social and environmental sustainability in the neighborhood. Students from the Design and Management program at Parsons The New School for Design have documented 17 Lower East Side community gardens through interviews, photography, and film to understand their members’ efforts and motivations. We have only begun to understand and appreciate the community gardens’ true beauty. In the process, we learned that participants in the gardens are likely to also be involved in other innovative and sustainable endeavors within the community. 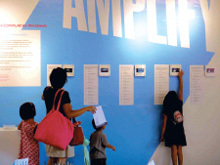 Exhibitions are at the core of the Amplify project and are conceived as a mechanism to create social conversation around sustainable lifestyles and initiatives occurring at the community level. 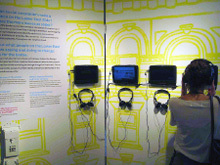 In 2010 (Aug 5–Sept 15)we promoted our first exhibition at the Abrons Center in Lower East Side area of Manhattan where residents, design experts, students and local organizations joined forces to discuss and create scenarios of more sustainable ways of living and working. Let's turn the findings from our Creative Communities into designs that can be shared around the Lower East Side, New York, and worldwide. Here you will be able to browse and comment on four different scenarios for more sustainable ways of living and working designed by a group of students from Parsons The New School for Design. How can social innovation make a difference on North Brooklyn? 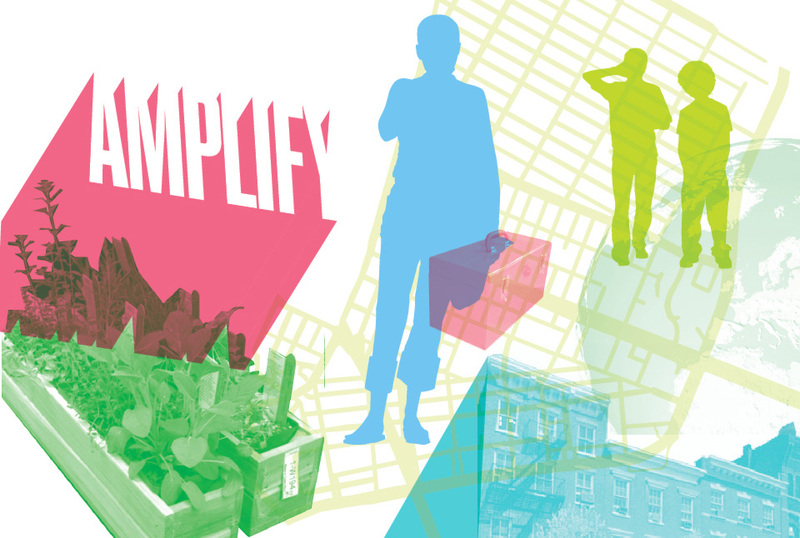 In 2011 we made a deep dive into the North Brooklyn neighborhoods of Williamsburg and Greenpoint to interview community organizations and leaders involved in many different forms of urban activism towards sustainability. The interviews did not follow a script but rather were open-ended conversations about issues such as transportation, water rights, sustainable food and emergent models of working and living. 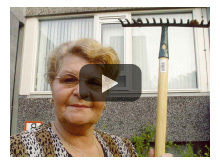 We interviewed people as close to the site of their work as possible i.e. at their office, near the waterfront or in a café. Following the interviews, we read the transcripts carefully and determined four main themes, or the areas where creative citizens and organizations are collaborating to invent innovative solutions to overcome problems in their neighborhoods. 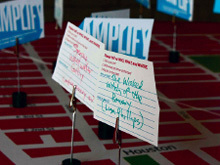 The Amplify team used these themes as the basis for the exhibition and to produce four short films. 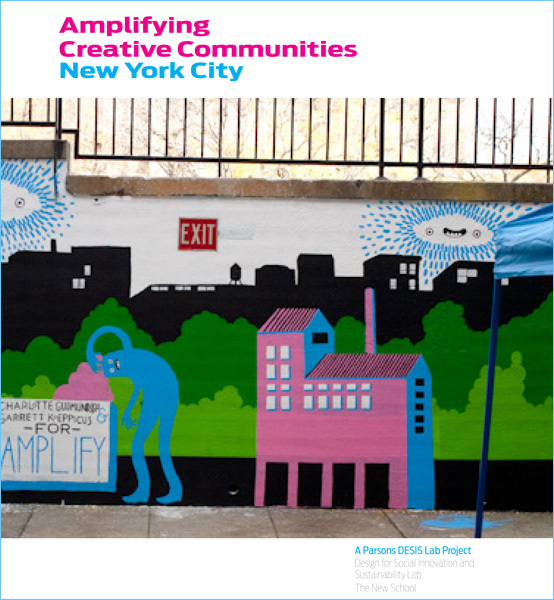 The Amplify team worked closely with a social scientist in order to conduct qualitative interviews with social innovators and activists in North Brooklyn. Between May and July 2011, the team conducted in-depth, one-hour interviews with 30 activists, entrepreneurs, policymakers and educators. In the videos below you can listen to extracts of the interviews reenacted by Parsons students. In 2011 (Nov 7–20) we promoted an exhibition at Arts@Renaissance (part of St. Nicks Alliance) in the North side area of Brooklyn. The exhibition was conceived as a stage to create social conversation around sustainable lifestyles and initiatives occurring at the community level and a "community design studio" was built on which a sequence of workshops happened. Their processes and results were incorporated in the space that as a consequence kept evolving throughout the two weeks it was open to the public. From November 7th to 20th, 2011 experts, professionals, design students, local residents, activists and the general public got together to participate in a sequence of workshops to discuss local challenges and local initiatives and propose new ideas for sustainable change. Parsons students from the TransDisciplinary MFA Design program worked with human-centered design methods and tools in order to explore the exhibition artifacts and propose scenarios, service ideas, toolkits, policy recommendations, around four major areas of social challenges and innovations identified in our project (click here to view student proposals). Facilitated by IDEO and Parsons faculty. The online micro-philanthropic initiative ioby launched its "Recipes for Change" toolkit (download the pdf), which will enable community leaders to propose and implement sustainable initiatives in their neighborhood. Workshop 3: Share your Perspective - Think Global, Map Local! 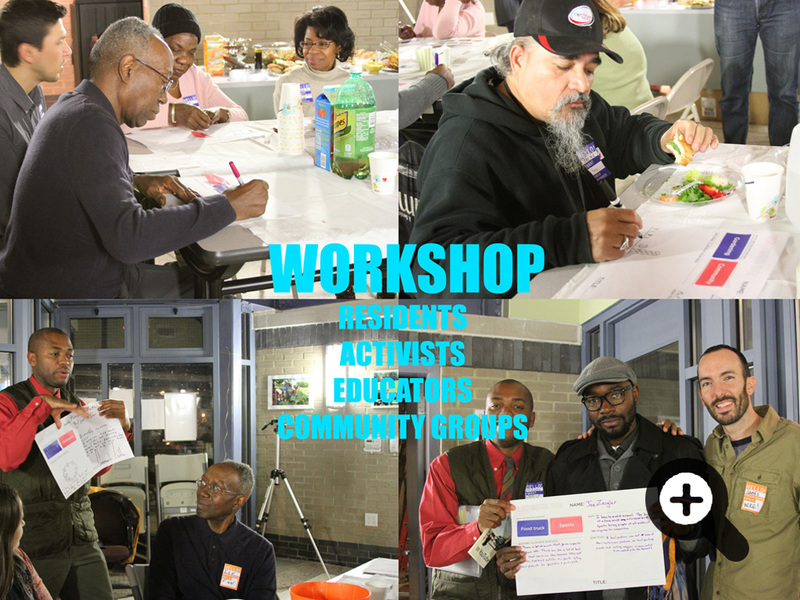 Green Map System, an organization that utilizes mapping to promote sustainable community development, hosted a workshop for the North Brooklyn community. Workshop organized by Cornell University as part of the NSF VOSS project on "Design Collaborations as Sociotechnical Systems" where designers and social scientists explored emergent forms of design collaborations as well as the methods and tools that enable them. Workshop organized in collaboration with Shareable.net and part of the Share NYC event, a conference about the sharing economy hosted by DESIS Lab at The New School. 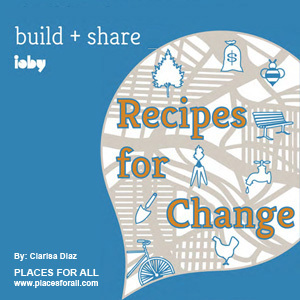 "The Recipes for Change Toolkit is a recipe toolkit that contains cases of ioby projects, from a project leader perspective, about how to take small-scale environmental projects from ideas to reality. Each case study is organized by idea, team building and fundraising, implementation and lessons learned. Through reading the stories or recipes of past ioby project leaders, future ioby project leaders may have references from which to build on, taking tips which may be helpful for their own projects. 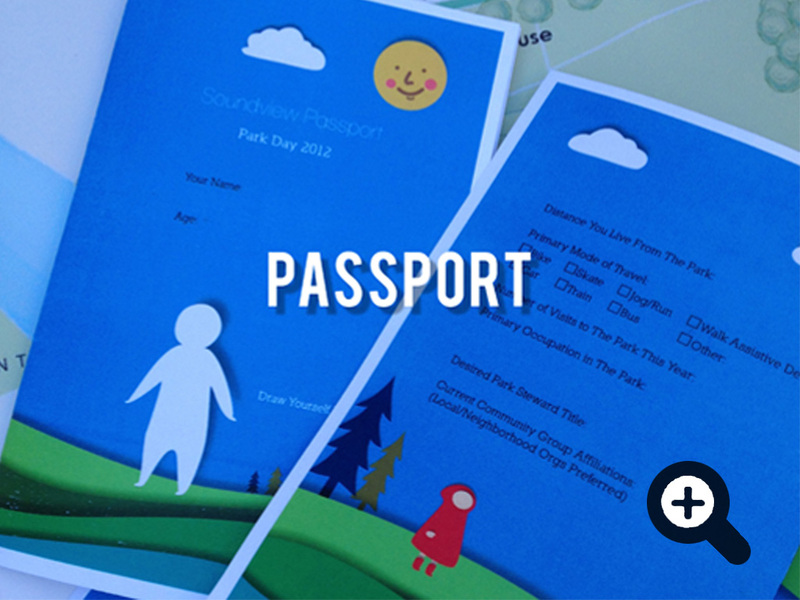 The last section of the toolkit is an 'Add Your Own Recipe' section, that includes templates for planning your own project, followed by including your story to send back to ioby to cycle for future projects. The idea is that ioby will be able to access a greater number of under-resourced communities by sending them the recipe box, in both print or electronic format. By linking knowledge among communities through the tool, a larger impact may occur in making a sustainable difference in our city and environment". 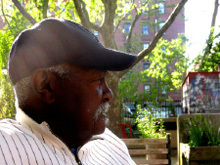 How can social innovation make a difference in The Bronx? 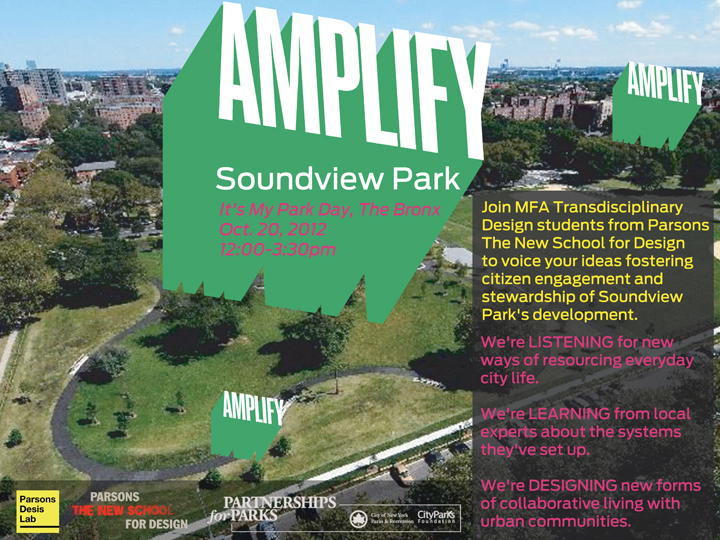 From September 2012 to January 2013, The Amplify team worked closely with Partnership for Parks in Soundview Park. The team conducted on-site workshops with community groups, public schools and civic institutions to develop programs and curriculum aimed at promoting the stewardship of Soundview Park. The Amplify team also worked closely with the MIT Mobile Experience Lab to incorporate their platform Open Locast with the student projects. 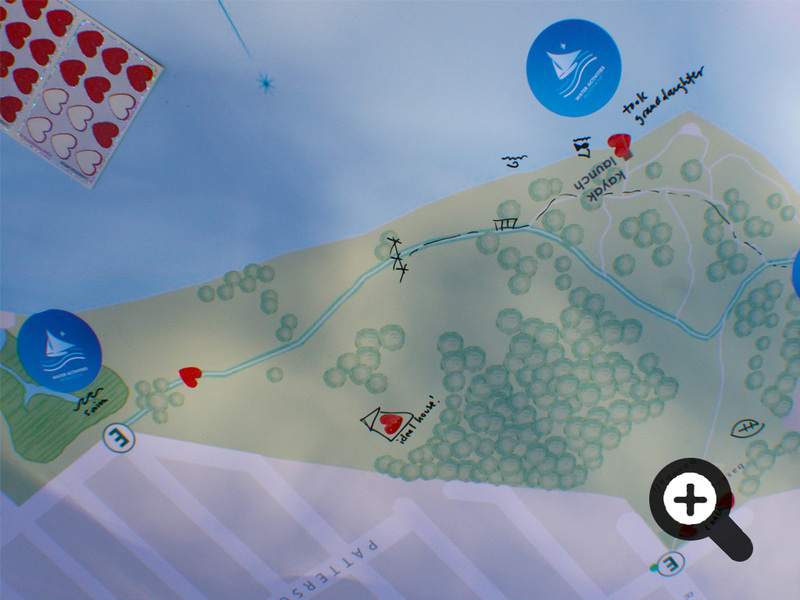 Open Locast is an online framework allowing rapid design and deployment of location-based media platforms in the urban environment. 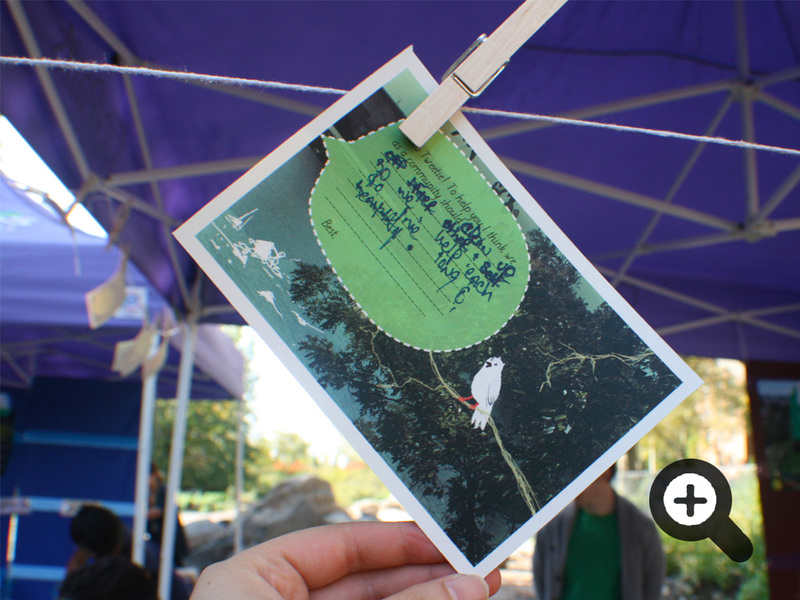 On October 20, 2012, the Amplify team connected with the It's My Park Day event hosted by Partnership for Parks. Students proposed ideas and experiments with stewards of Soundview Park by utilizing the existing event and transporting their work in the studio to a mobile studio in the park. Let's turn the findings from our Creative Communities into designs that can be shared around The Bronx, New York, and worldwide. Here you will be able to browse projects covering the topics of Accessibility & Mobility, Peer Networks & Resources, Friends of Soundview and the Waterfront. These four projects cover sustainable ways of living in The Bronx designed by a group of students from Parsons The New School for Design. 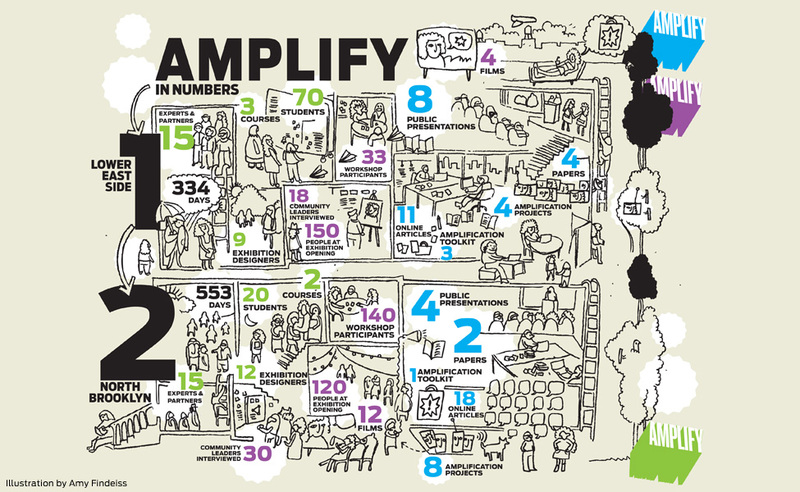 On January 28, 2013, the Amplify team presented at the MIT Open Locast U Symposium in Boston, Massachusetts. The goal of the symposium was to rethink storytelling, civic engagement, and the perception of information in urban space. Parsons The New School of Design was represented among many highly esteemed educational institutions around the world. All over the world, people are promoting changes in the way they solve their everyday problems. Changes that may turn roles and lifestyles upside down demonstrate that more creative and sustainable ways of living are possible. These are positive examples of creative urban activism. The real stories of real people told here can inspire us all towards changes in our own everyday lives, right here, right now. We invite you to browse through these international inspirational stories and capture the secret of their successes. These stories were collected by members of the DESIS international network.